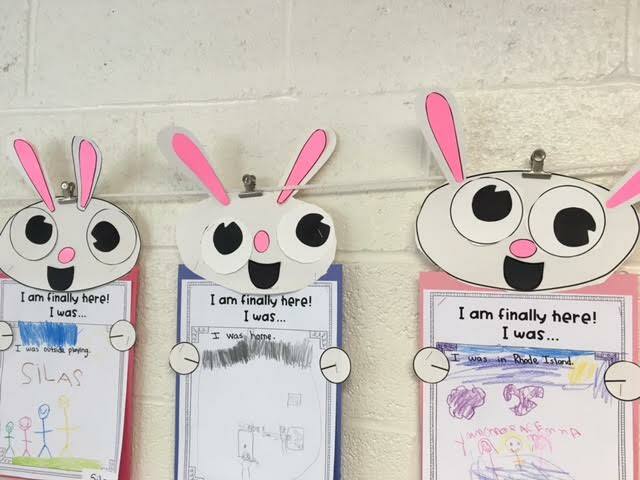 We have enjoyed getting to know each other in kindergarten. We are working very hard at learning all of our school rules. Children have just started earning stars for being safe, kind, and responsible. Your child may come home with a sticker that explains the reward that they have chosen. Some of the fun items they can choose from are: read aloud a book, bring in a stuffed animal, and do show and tell. If your child has show and tell please make sure it can fit into their backpack and no electronics. We have read many wonderful books that have helped us understand our school rules. Some of the class favorites were, David Goes to School and Adventure Annie Goes to Kindergarten. 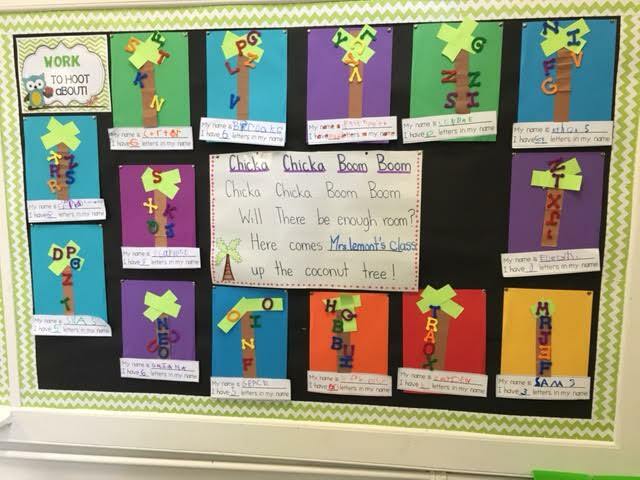 Over the last few weeks we have created some fun projects based on a few wonderful books. I have included a few photos of our projects for you to enjoy. 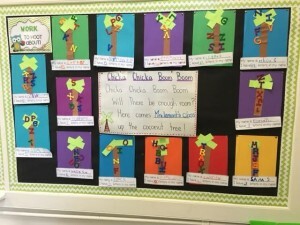 These projects were made after reading the book Chicka Chicka Boom Boom and You’re Finally Here! During our morning meeting, children are participating in our calendar time. 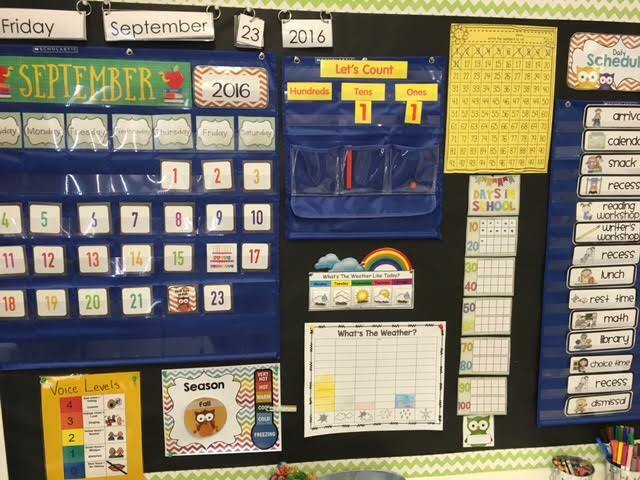 Calendar time is a great way to incorporate math, reading, and listening skills. 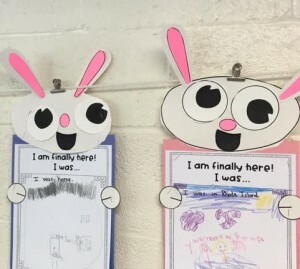 We were so excited when we reached 11 days working together in kindergarten. The year is already going by so quickly. I have added a photo of the calendar so that you can see what it looks like!